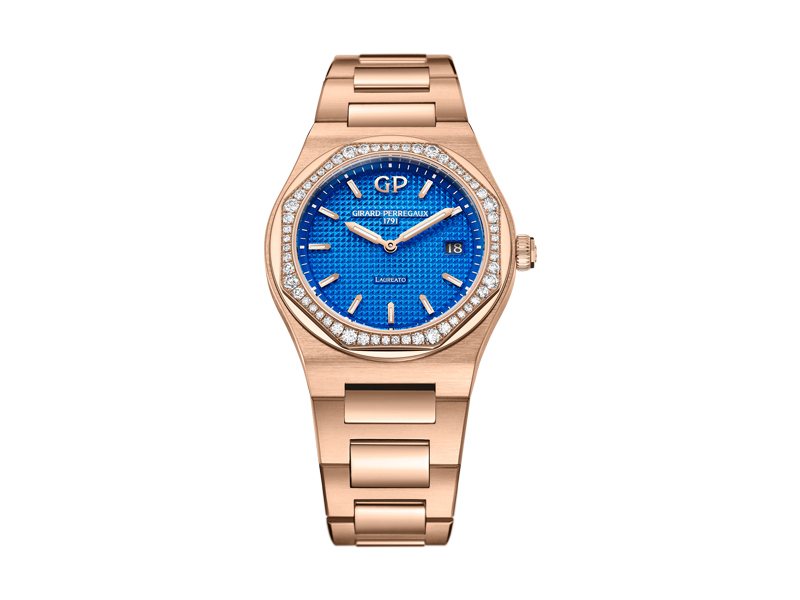 For this model with its small sized case, Girard-Perregaux has made the choice of color. With its vibrant and daring royalty blue, the Laureato is the perfect monochromatic look to steal this season. Powered by a quartz movement, enhanced with a sparkling setting of 56 brilliant-cut diamonds, the red gold edition of the Royalty Blue from Girard-Perregaux sets a vibrant new upbeat tone. A statement piece to worn as an offbeat touch with an understated outfit, or as part of a full-on look for those wishing to shattering ordinary style conventions. 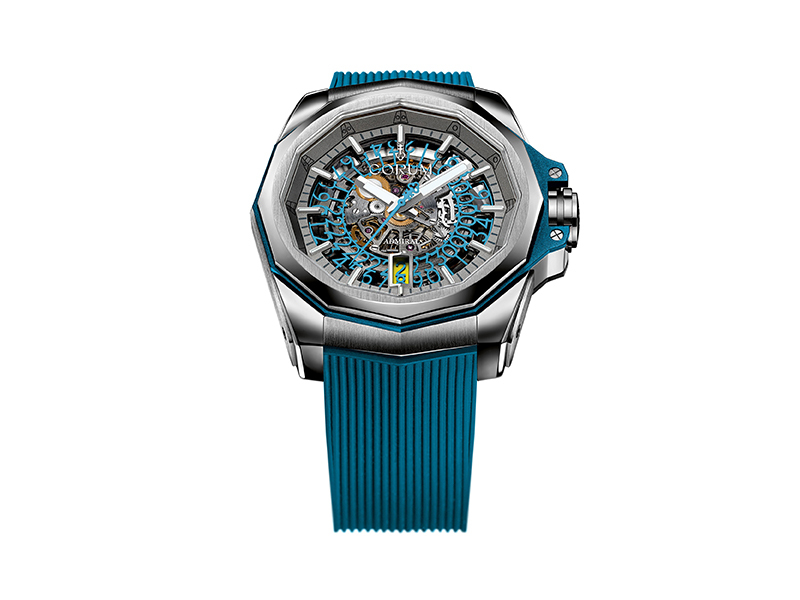 Corum sets up apart with its last version of the Admiral watch. 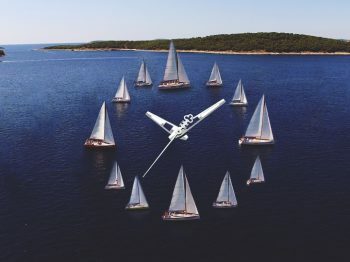 The piece, which embodies Corum’s idea of maritime watchmaking, comes in a radical new design both playful and technical. With its naked dial, the mechanics is totally visible for those who are ready to be hypnotized by the rhythm of its regular movements. 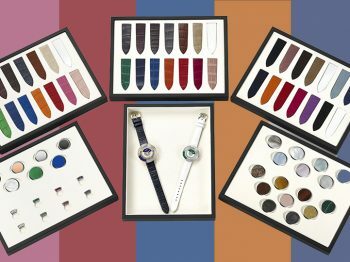 Undressed, the watch is then spiced up with bright colors distributed in different places on each version: on the seconds hand, the case, the bracelet and the date. From summery turquoise blue to a pop yellow-tone stepping by a deep red, which tone will you opt for? As a pop icon of a whole generation, Hello Kitty is the ultimate symbol of Japanese manga culture. What happens when an adorable little cat encounters the world of luxury watches? A kawaii collaboration of three Hello Kitty limited edition that has everything to seduce a feminine audience. 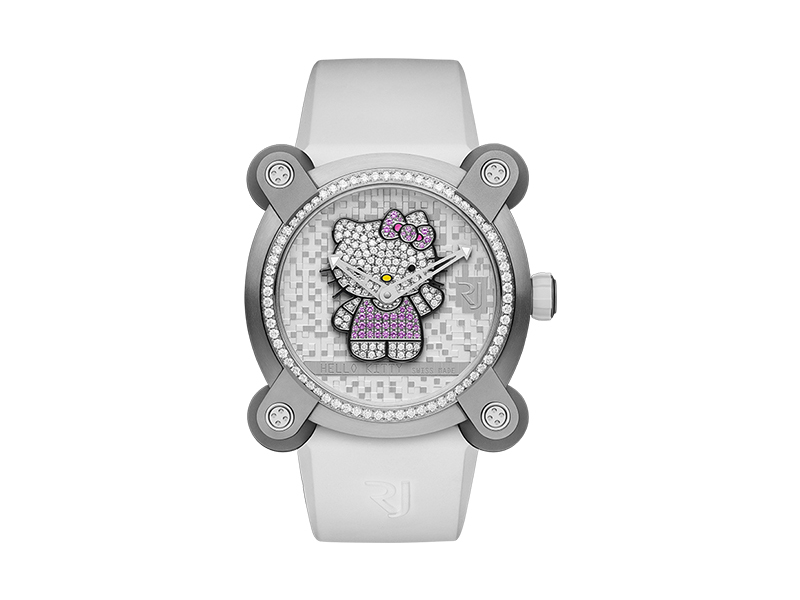 Emblazoned with a Hello Kitty applique set with diamonds and pink sapphires, the fun timepiece doesn’t forget to be sophisticated. With its complex case of 40 mm diameter, the watch is powered by an authentic Swiss manufactured quartz movement and water resistant to 30 meters. Some serious details that will lead you to adopt this stylish watch! Known for its large and robust watches due to its military heritage, Panerai has surprised in 2016 with the Luminor Due line made of smaller and thinner timepieces. This time, the brand goes further – under the 40 mm more precisely – to release one of the thinnest and most versatile of its creations. 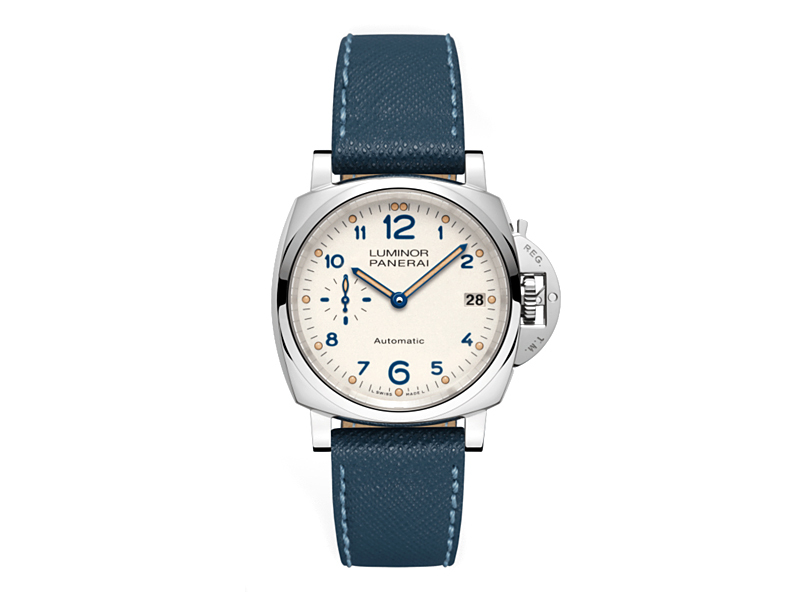 With its elegant shape and minimalist lines, the Luminor Due 3 days is designed for every wrist and occasion. The new addition will surely interest both men and women who have a penchant for the Panerai style but prefer discreetly sized watches. First designed in 1991 by Henri d’Origny, the Hermes Cape Cod is one of the most iconic timepieces of the French luxury house. Thanks to its unique design, a square embedded in a rectangle, the watch is a true modern interpretation of the signature “Anchor Chain” of the brand cut in two pieces. 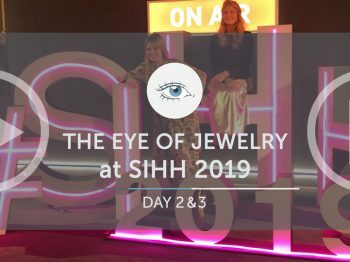 After 25 years of reign marked by the success of each new versions, Hermès has unveiled its last addition at the SIHH 2018. What to expect from the French House? A highly desirable piece that offers a new take on the anchor chain motif with an alluring mirror-polished face. 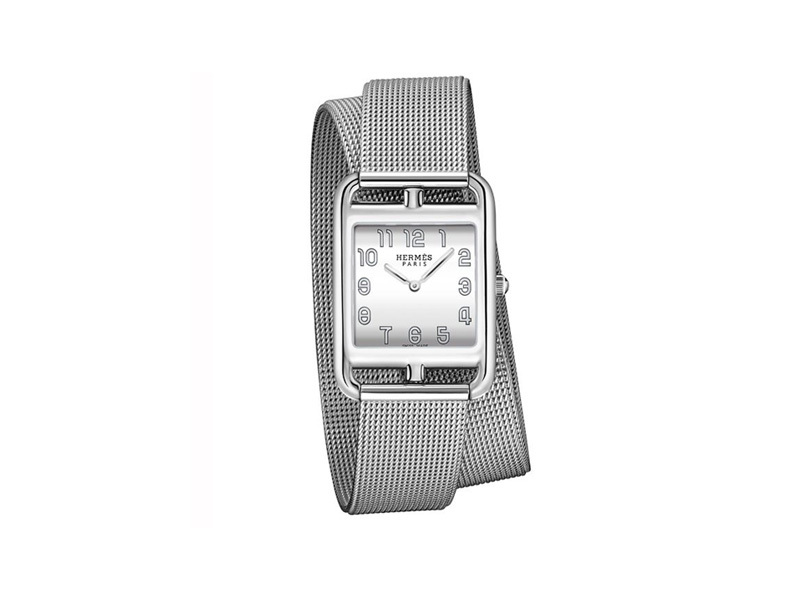 Not to forget our love for the filigree Milanese mesh bracelet worn with single or double-tour strap bringing a contemporary upgrade to the must-have model. 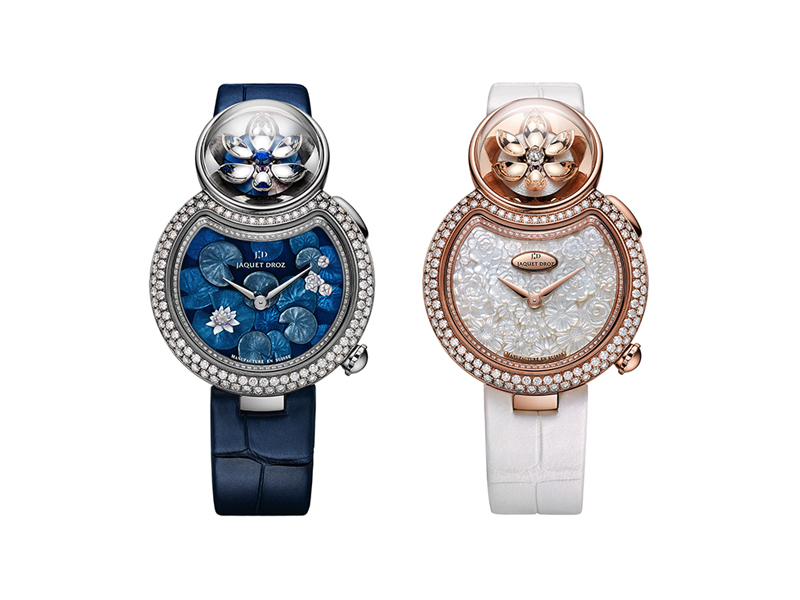 Staying true to the brand’s spirit of creating unique cases embellished with paillons, painted on enamel or engraved, the watchmaker presented two new versions of the Lady 8 Flower in honor to Jacquet Droz naturalist tradition. The model, which was the very first automaton collection fully dedicated to women, comes in two blossoming new versions which embodies poetry and sensuality. While one is featuring Lotus-flowers engraved in bas-relief, the other showcases a lace-like bouquet of flowers carved from mother-of-pearl. Last but not least, the automaton positioned at the top of the watch activates itself at 2 o’clock to reveal a sparkling diamond or sapphire. A captivating animation that has left us mesmerized. Inspired by the clasp of the brand’s iconic 2.55 purse, the new code coco watch will covet the season. The timepiece stands out at first sight with its bracelet crafted in black ceramic and steel and its elegant dial decorated with a princess-cut diamond. 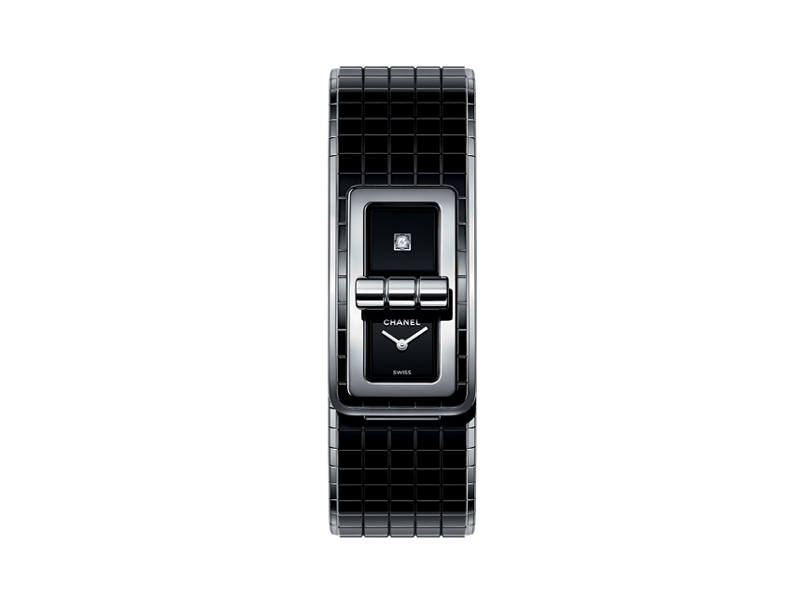 A black beauty that also comes in a version with a bezel set with 52 diamonds for a more sophisticate look. More than a watch, more than a jewel, a Chanel timepiece.